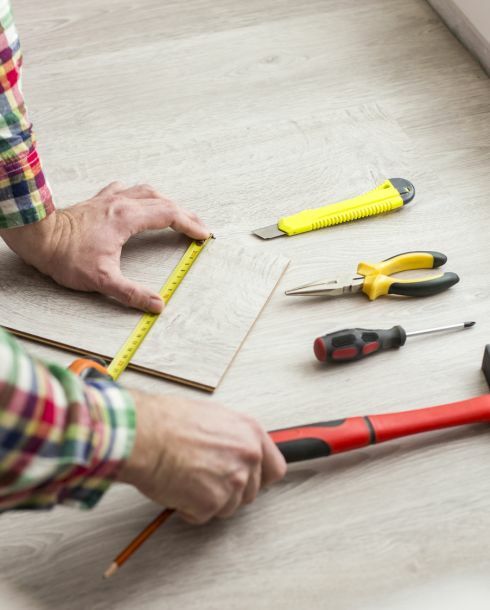 While it seems easy enough to takeout a tape measure to record a room’s floor area accurately, you’ll probably be surprised to know how many people don’t get it done correctly. Some people don’t use the proper tools, while still others don’t understand what the numbers actually mean. Incorrect in-home measurements can be a costly problem just waiting to happen. This is especially true if inaccurate measurements result in ordering the incorrect amount of flooring product so that there isn’t enough to finish your new flooring project. Complete accuracy - We will precisely measure all necessary areas in your home or business. Professionals will make your measurements - Only our experienced, licensed flooring specialists will do your measuring. Flexible time schedules - We know understand busy you may be, so we create a flexible meeting schedule that suits your family’s needs. Helpful project advice - We provide you with professional advice on how to continue moving ahead with your remodeling project. Quality – Personal Touch Flooring helps you select excellent high-quality materials at affordable prices. For more information on Personal Touch Flooring’s free in-home measurements, please call us, e-mail us. Or stop in at our Poughkeepsie, NY showroom at your convenience to discuss your free in-home measurement service and set up an appointment to get started.